The Dark Ranger: Whose Line Is It, Anyway? It is around late July, months before the official start of the new season. Here is New York Rangers coach Tom Renney at his home, minutes after midnight, assembling the perfect opening game combinations. Mrs. Renney interrupts, "Tommy, when are you coming to bed for Christ's sake? And why are you writing in pen? Come here my free-agent signing plaid-blazer-wearing hunky-of a husband..."
Sather, what do you think? 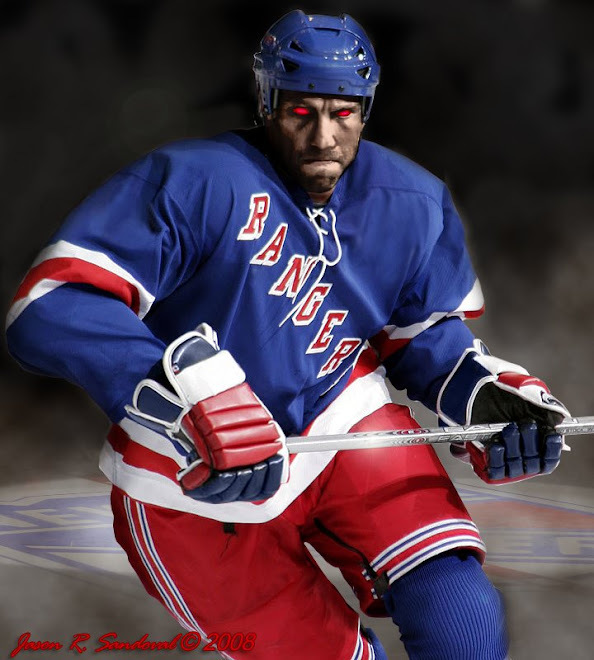 People in Ranger Land, what do you think? I would prefer to see Hossa on the fourth line over a Dawes. Could be, but I don't think the Blueshirts will re-sign Hossa & Malik is going to be traded out to make room financially. I disagree with the proposed defensive pairings, because I can't imagine leaving out Dan Girardi. He looks like he can really prove himself this year, and he was among the biggest surprises of the year, along with Avery and Callahan.